The U.S. Marine Band will be in concert Monday. 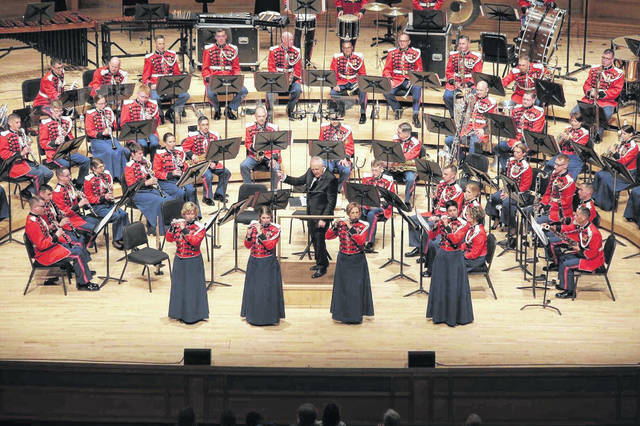 LIMA — “The President’s Own” United States Marine Band performs in Lima Monday at Veterans Memorial Civic Center. This show is again brought to Lima by the Civic Center Foundation. The band is America’s oldest continuously active professional musical organization. It was founded in 1798 by an act of Congress. ”They’re just fantastically talented, just like all of the other armed forces bands are. We’re very lucky that we have some local connections that were able to help us make this show possible,” said Ambroza. The audience can expect to hear patriotic songs by John Philip Sousa, who was the band’s 17th director. Current Marine Band Director, Col. Jason K. Fettig, has chosen a mix of music.